This part of the website presents some background information on me; where I live and work, and where I am coming from with my furniture designs. 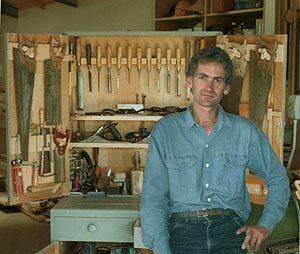 In particular, there is a section showcasing Tasmanian timbers. Handmade furniture is inevitably a product of the personal philosophy and skill of the craftsman, and of his relationship to his environment. I hope that you'll find these pages informative and interesting. Click on one of the following headings for the words of wisdom and accompanying picture, or for pictures of some of my pieces, skip this section and go straight to the Gallery.